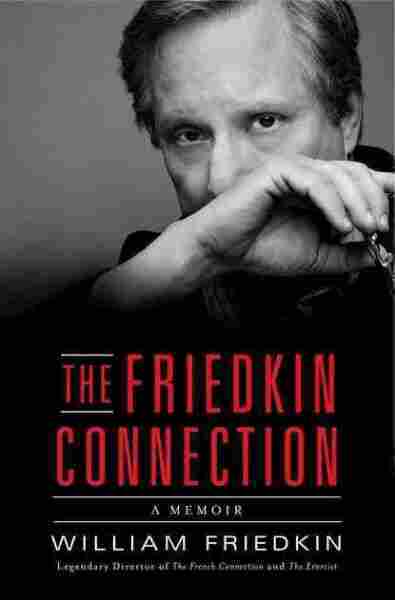 Friedkin, Who Pushed Film Forward, Looks Back In his memoir The Friedkin Connection, the legendary director of films like The Exorcist and The French Connection recounts his journey from a poor Chicago neighborhood to the apex of Hollywood success. 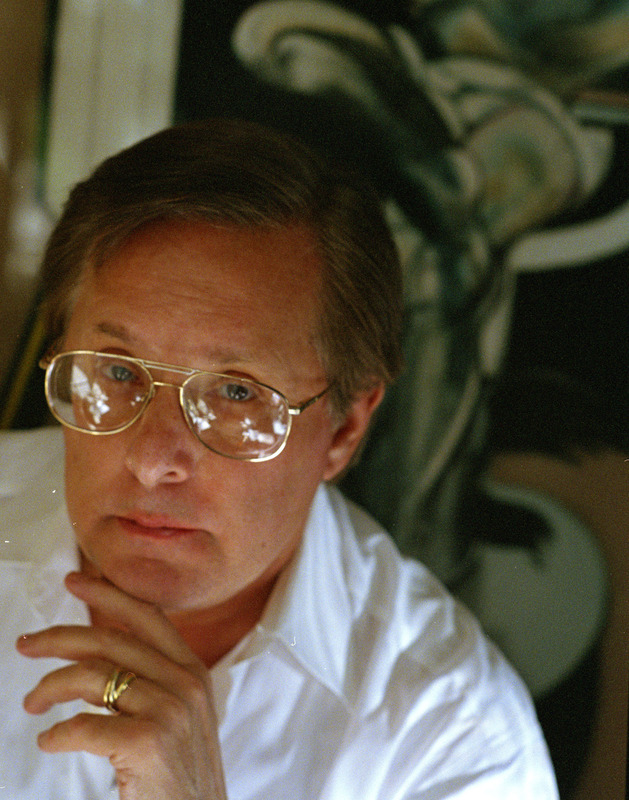 Director William Friedkin is best known for the classic films The Exorcist and The French Connection. His new memoir is The Friedkin Connection. As a kid in Chicago, director William Friedkin liked to frighten little girls with scary stories. When he grew up, he scared the rest of us with a little girl — Regan MacNeil, who is possessed by the devil in his horror classic The Exorcist. And in The French Connection, he put knots in our stomachs with one of the great movie chases in American cinema. When Friedkin directed these films in the 1970s, he was breaking all the rules. In his new memoir, The Friedkin Connection, the 77-year-old director describes how he brought a new look — and a new feel — to Hollywood films. He also writes about his earliest influences, including the first movie that inspired him as a young man: Citizen Kane. "I went in at noon, and I watched it five times that day," Friedkin says of actor-director Orson Welles' classic. "And I couldn't believe it. When I came out, it was like standing in front of a Vermeer or a Rembrandt. That's the effect it had on me." Before Kane, movies were just entertainments for Friedkin. Kane was something different. "I didn't know what the hell it was, but that's what I wanted to do." After many starts, stops and career bumps, Friedkin began making vivid, original movies. 1971: The French Connection, with gritty New York cops tracking a heroin smuggler. A feature film done in documentary style. Rough. Raw. Real — no special effects. Quick cuts. And that car chase! Friedkin and his producer and partner, Phil D'Antoni, knew they needed a big chase scene. But what? How? They decided to take a walk down Park Avenue, "and not stop walking until we had spitballed a chase scene," Friedkin recalls. And they started grabbing ideas out of thin air. "What if the bad guy is out to assassinate the cop?" The bad guy runs ... the cop chases him. "Where do they go?" What if the bad guy runs up the stairs to an elevated train platform? And how about if the cop chases the train ... in a car? Careening around pedestrians, crashing his way under the elevated tracks. That spitball walk down Park Avenue was getting exciting. "We walked 55 blocks in one direction, and we wound up on a traffic island," Friedkin says. "And we embraced each other because we had the chase." Then they figured a way to do it. A guy at New York's transit authority said it would be "very difficult" to give permission to film on a train. Friedkin and D'Antoni thanked him and started to leave. 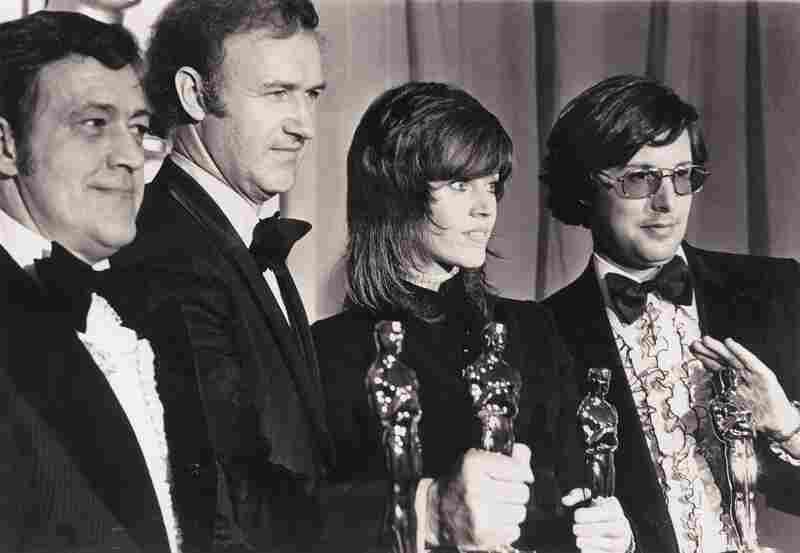 The French Connection won five Oscars at the 1972 Academy Awards, including best picture. From left are Phil D'Antoni, Gene Hackman, Jane Fonda and William Friedkin. "And I asked him, I said, 'Why one way?' And he said, 'Because if you make this picture, with that scene, the way you've described it, I will be fired, and I want to go down there and live.' "
Friedkin screened The French Connection for Elmo Williams, a former big-deal film editor who was temporarily running Twentieth Century Fox. Afterward, Williams had a long list of edits and tweaks. "He said, 'Well, it's got some good things in it, but that scene where the cop is frisking the guy, cut six frames off of that,'" Friedkin remembers. "And then he'd go to another shot and say, 'Add three frames to that.' And this went on throughout." Williams wanted to see the revised film in a week. But Friedkin thought the studio boss was "full of it" and decided not to change a thing. He instead showed Williams the same cut, frame for frame. "The lights went up," says Friedkin, "and he said, 'Well, it's certainly improved, fellas. You've certainly made it better.' "
Friedkin's 1973 film The Exorcist told a "based-on-real-life" story of demonic possession. Now, in its 40th anniversary year, the film still has the power to chill — especially when the demon speaks through the young girl at the film's center. Actress Mercedes McCambridge voiced the demon's lines, and summoning that voice involved considerable pain and suffering for the actress. Friedkin knew her work from old-time radio drama and from her Oscar-winning performance in the 1949 film All the King's Men. 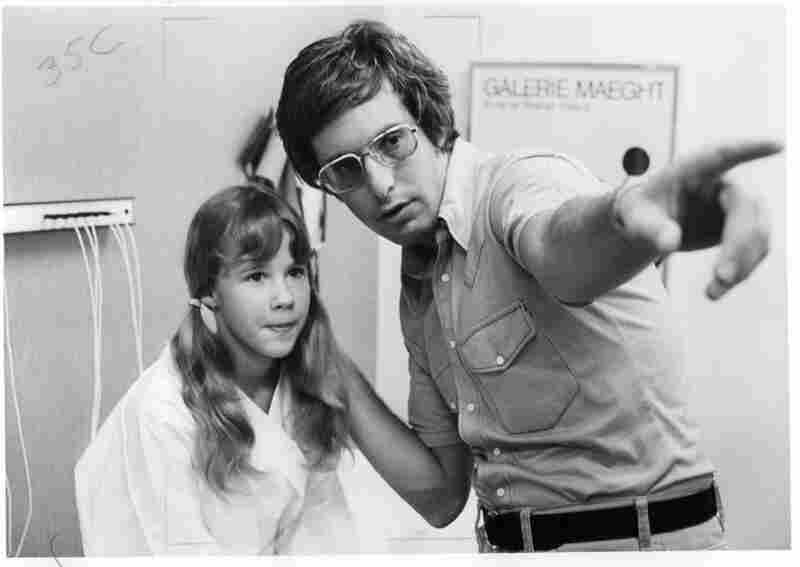 Friedkin gives direction to 12-year-old actress Linda Blair, who played the possessed Regan MacNeil, on the set of The Exorcist. McCambridge, a staunch Catholic who'd quit smoking and fought her alcoholism with help from Alcoholics Anonymous, knew what she would need to turn her rich, gravelly voice into Friedkin's demon: two priests in the studio at all times and her hands tied behind her back. "She wanted to sit in a position of being tortured. She wanted to drink raw eggs. She wanted quantities of Jack Daniels and cigarettes," says Friedkin of the actress' method. "It must have taken about a month at least to record one word at a time, one sentence at a time. And as she was recording, her voice would take on a strange quality. She would breathe into the microphone and you would hear two or three different sounds coming from her throat. And she saved the movie." Friedkin, creator of scary, gritty, macho films, ends his memoir with a tranquil memory from his Chicago childhood. "I used to ride my three-wheeler bike as fast as I could along Sheridan Road, past the furniture outlet, the little grocery store, the movie theater." He remembers the scarf wrapped around his nose and mouth, the blur of passersby, pigeons scattering. "My world always ended with the shore of the frozen great lake, watching the ice flows, jagged pieces of a big white puzzle, breaking in the sun. No worries then about what lay ahead. Everything would be fine. And soon, I'd be in the warmth of our one-room apartment, drinking the hot chocolate my mother made, listening to one of my favorite radio programs, waiting for my father to come home from work." It could be a scene from a movie. What else, really, from a legendary Hollywood director?